Metal detecting in California follows the ARPA (Archeological Resources Preservation Act). Although, the term “metal detecting” does exist in this law, the law does specifically state that no artifacts can be removed if there is any disturbance of the area. Individuals have broken these laws and been arrested. So know what the laws are. Below is an abbreviated portion of this law that is the most important part to understand. Knowing how to protect yourself from getting arrested means understanding the laws on this page, and throughout my website. However, you better follow ARPA's law to the letter and not remove anything that is 100 years or older. Be Careful What You Dig! exemption contained in section 4(g)(1) of this Act. The California Code of Regulations, Title XIV, Division 3, Section 1 contains four sections applicable to the use of metal detectors in State Parks. Section 4305 prohibits the disturbance of any animal, Section 4306 prohibits the disturbance of any plant, Section 4307 prohibits the disturbance of any geological feature, and Section 4308 prohibits the disturbance of any archaeological feature. These regulations define, plant life as including; leaf mold, grass, turf, and humus; and geological features include earth, sand, gravel, and rocks. 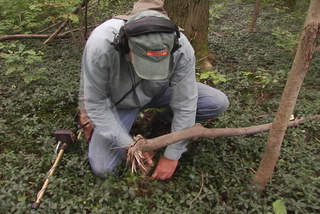 The act of passing a metal detector over the ground in a State Park is not against the law. The prying up or digging out of an object however may be, as this may not be done if it disturbs the animals, plants, geological or archaeological features. Section 4309 gives the Department the authority to grant permits to disturb resources if it is in the best interest of the Department to do so. Since the units of the Department are extremely varied, we have delegated the authority to regulate activity related to metal detectors to our District Superintendents. Therefore, you will need to contact personnel in the park in which you wish to perform metal detecting and follow their instructions as to where and how you may metal detect. The recovery of lost items or property is subject to the conditions of Civil Code Sections 2080.1 through 2080.6. All items with a value of $100.00 or more must be turned in to State Park officials. If no one claims the item within 90 days, it may then be transferred to the finder. (a) No person shall destroy, disturb, mutilate, or remove earth, sand, gravel, oil, minerals, rocks, paleontological features, or features of caves. (b) Rockhounding may be permitted as defined in Section 4301(v). 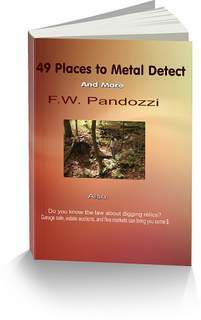 Be sure that if you metal detect in California you follow the law. No person shall remove, injure, disfigure, deface, or destroy any object of archaeological, or historical interest or value. Understand, the laws change all the time - bookmark this page for future notices. Metal detecting in California ghost towns as well as in the eastern states.